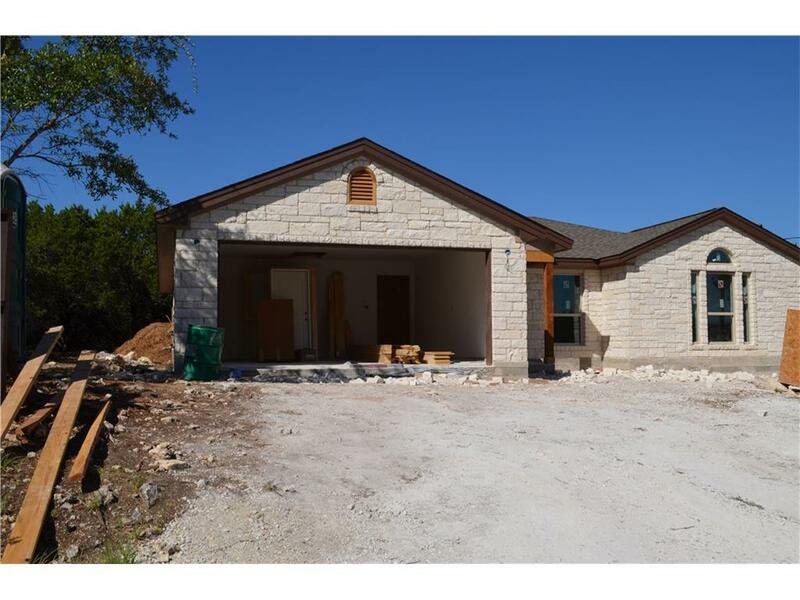 Under construction home in Lago Vista with custom home quality on huge lot. This cozy home will feature loads of upgrades including wood grain hard tile in living, dining, kitchen and hallway, granite countertops throughout and stainless appliances. The master features 2 closets, double vanity, decorative tile, garden tub and separate shower in spa-like bath. Covered back patio and fenced back yard with stunning hill country views in the front. Just a couple blocks from Lago Vista Middle School. Come and enjoy the lake, parks and area amenities. Approximate completion date is early to mid September.